There is something eerily discomforting about a prison which has only recently been decommissioned. The ghosts that haunt the space are the ghosts of people who are still alive, perhaps released, perhaps still serving sentences elsewhere. HMP Reading formerly known as Reading County Gaol remains the property of the Ministry of Justice. It has been opened to the public for the Inside exhibition run by Artangel which sees artists and writers respond to Oscar Wilde’s period of incarceration at Reading between 1895 and 1897 together with the works he produced about prison life including The Ballad of Reading Gaol. The prison was closed in 2013 and was renovated shortly before then. Aside from the art displayed, the cells are presented as they were. Locks have been removed from the cell doors, though – apparently the technology is still in use elsewhere and the MoJ didn’t want visitors to be able to examine their design. Whether this is exactly true or not it fits in well with the mythology of the cell door embodied in the Jean-Michel Pancin’s installation which features Oscar Wilde’s original cell door (on loan from Nottingham’s Galleries of Justice) attached to a marbled concrete plinth the dimensions of a Reading cell as the centrepiece of the exhibition presented in the prison chapel. Sell-out readings of Wilde’s De Profundis given each Sunday by a series of celebrity readers contribute further to the enshrinement of Wilde within the walls of the prison. The prison becomes the space where the profane, the transgressive, subversive and criminal are accorded a quasi-religious, sacred status bound up with the aura of the prison site. Jean-Michel Pancin’s installation in Reading prison chapel turned sports hall. Oscar Wilde’s cell door is bathed in light. The contemporary artworks are framed within this context. It is as if they are validated by Oscar Wilde’s ghost. Some of these offer quite direct engagements with the cell space they are assigned. Others such as Rita Donagh’s H-Block works invite comparison with the archive plans of Reading, itself based on a radial plan (reproduced as part of the exhibition’s iconography/guidebook), displayed in cabinets in the prison corridors. The simple, clean lines of 19th century prison plans offer a utopian vision of social order. Placing her collages of H-Block plans inside a cell, Donagh seems to be turning such a vision inside out. The plan seems incapable of representing the complexities of prison space at the same time offering itself up as a blank empty space which is terrifying due to the possibilities this suggests. I’m also reminded of the models of different Taiwan prisons made by inmates and displayed at Chiayi prison. The foreboding exterior of the prison which inmates usually only see on their way in and out is brought inside in miniature form. Self-expression is encouraged as a reflexive exercise in which the prison space must be internalised then reproduced in painstaking miniature detail. To use a prison as gallery involves contesting the usual open spaces and moveable walls found in a contemporary art space. To see all the artworks presented by a particular artist requires movement from cell to cell disrupting potential for juxtaposition as well as fluidity of movement (something Claire R observed to me when looking at Roni Horn’s images of the Thames). In this respect possibilities for representation and spectatorship are reinterpreted according to the embodied experience of the prison. Although the art displayed was a combined attempt to engage with the theme of incarceration as well as the limits of the space, it did not feel like any particularly critical readings of the prison were being offered up. Instead it seems as if using a now defunct prison as temporary exhibition space is a way to test the waters and gage public response before deciding how to use the site in future whether as art space, prison museum or something else. It was clear from our visit that the temporary restricted access to a previously off-limits site has been a useful selling point with tickets sold out in advance for specific visitation slots. The future of the prison has been the subject of much local controversy with calls for a clearer idea of the MoJ’s agenda and timeline for the proposed sale of the property. The exhibition also presents us with a narrative in which Wilde seems to be the only inmate. Although the tours organised by the National Trust (as part of their attempt to move away from their fusty stately home image) claim to tell the story of the prison’s other inmates, the focus around Oscar Wilde as source of inspiration for contemporary interventions seems to occur at the expense of an erasure of other voice or, in any case, the privileging of Wilde whose incarceration is historicized as a source of his creative inspiration. 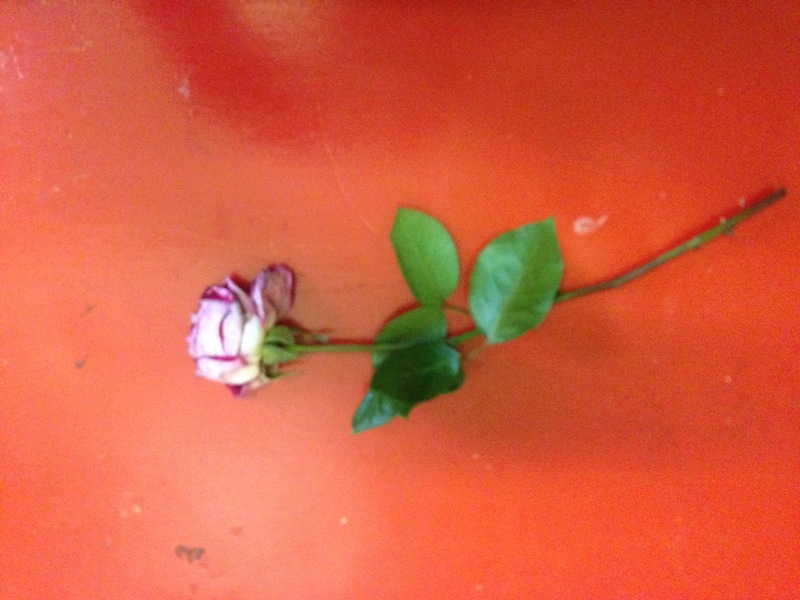 The table in the cell believed to have been Wilde’s contains a single rose. The cells next to his are filled with (we assumed imitation) copies of his books. The exploration of Wilde’s incarceration is one which exceeds the limits of his own cell, taking over the next door cells and the chapel, overshadows and overpowers the identities and stories of all Reading’s other inmates. Yet, the pervasive aura produced around Oscar Wilde ends up affirming a continuum with more recent inmates rather than the contemporary artworks offered up as interlocuteurs. As the inevitable museum fatigue set in it became far more interesting to look at the cell graffiti left by the last inmates to inhabit the cells. I chatted briefly about the graffiti with one of the curators who told me the cells hadn’t been repainted for the exhibition but presented exactly as they were left. Most of the graffiti dated from around 2013 following the last time the cells were cleaned up and painted. What was most interesting was the way many authors would identify themselves with their hometown and the strong sense and territory and roots this conveyed in contrast with both the impersonal homogeneity of the prison cells (it was clear that some inmates had moved cells several times) and the global cultural industry the curated artworks belong to. Local identity becomes a survival mechanism and not simply a form of cultural capital. I asked the curator whether much graffiti had been added by visitors given the ample opportunity and invitation. She seemed to think visitors generally had too much respect for the site to do so. I think this is indicative of the type of visitor the exhibition is attracting or expects to attract and more generally the growing fetishisation and museification of the criminal body, the spaces it inhabits and objects it produces and interacts with. I wondered aloud whether former inmates or their friends might have thought differently about the graffiti and added to it. The curator gave me a knowing look and said ‘well then that would be a conversation’. Again this is a telling statement about the level of engagement and dialogue such an exhibition anticipates from its visitors around the topic of incarceration and the experiences of those being incarcerated. This echoes Michelle Brown’s comments about penal spectatorship and the limits of cultural representations of prison in inviting more sustained public engagement and criticism of prisons. I also wonder (not aloud) how many former inmates paid the £9 ticket to visit (or if any of them had been hired as curators like the Koestler awards do and is also the case at Robben Island. This is often presented as a selling point in its affirmation of prison as a space of reform and opportunity for those willing to prove they can become compliant workers. But even in the case of a space like Robben Island which housed political prisoners during apartheid, there is something obscene about expecting former inmates to re-experience their confinement each day and to present this as a good, positive experience. Whether it involved being refused employment, housing and benefits or being obliged to trade off the cultural capital of crime and imprisonment, a former inmate remains defined in terms of his or her sentence.